THE Court of Appeal has constituted the National Assembly and State House of Assembly Election Petition Tribunal in Katsina State. Hajiya Aishatu Abubakar, the Secretary of the Katsina State Governorship, National and State House of Assembly Election Petition Tribunal disclosed this to the News Agency of Nigeria (NAN) on Tuesday in Katsina. “The tribunal is mandated to receive all complaints of petitioners on national and state assembly elections immediately after the 2019 general elections,’’ she said. 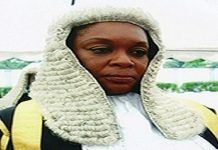 Abubakar disclosed that the President of the Court of Appeal, Justice Zainab Bulkashuwa constituted the tribunal. “The president established the tribunal in pursuant to paragraph 133(3) (a) and (b) of the Electoral Act as amended. 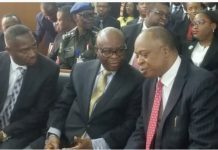 According to her, the Registry of the tribunal has opened for business at the venue of election petition tribunal located in the State High Court Complex.